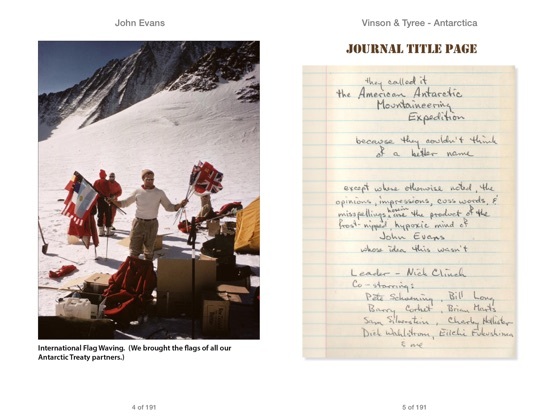 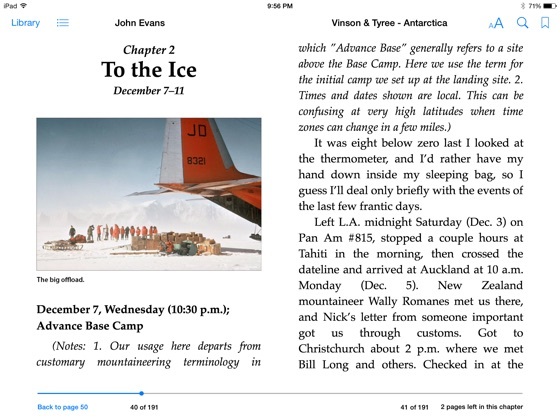 This is the story of AAME, the American Antarctic Mountaineering Expedition— conceived specifically to attempt the first ascent of the last of the Earth’s seven continental summits to be climbed— the Vinson Massif (later known as Mount Vinson). 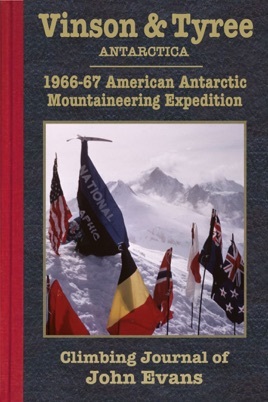 This peak, at just over 16,000 feet, was climbed in December, 1966 by the entire 10-man AAME team. 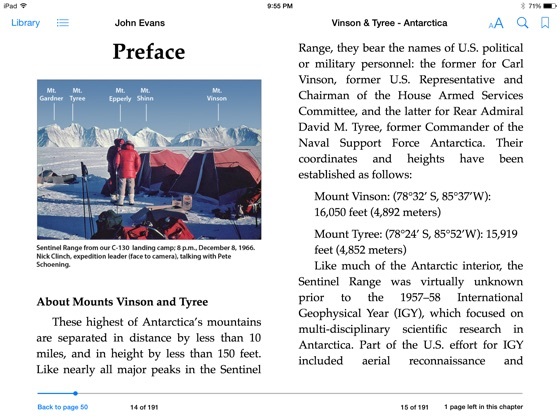 The Vinson ascent was followed two weeks later by the first ascent of Antarctica’s second highest peak, the considerably more technical Mount Tyree. 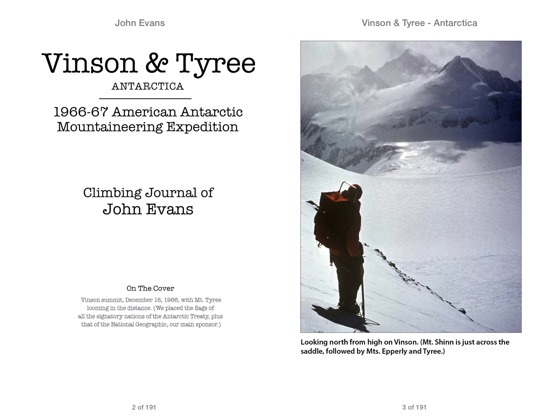 Two of the AAME team, Barry Corbet and John Evans, summited Tyree by a route that has not seen a repeat in the subsequent 40-plus years. 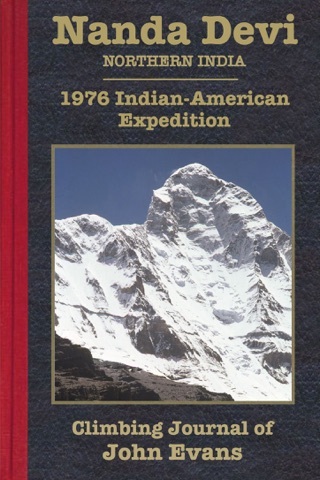 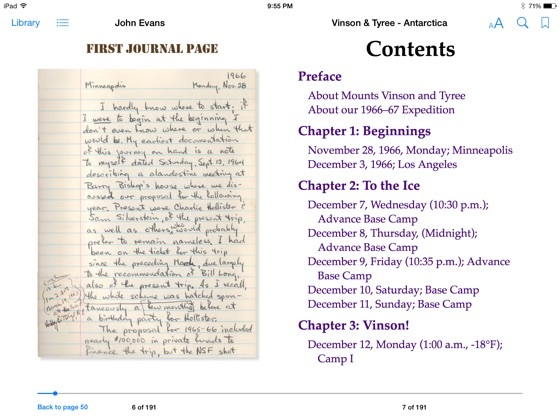 In addition to documenting the various ascents, this journal describes the unique evolution of the expedition.